Visit our website for wine maker dinners and special holiday events in Siena. From weddings, charity galas or corporate events and meetings, our banquet staff is one of the finest in Northern California and the food is unsurpassed. Contact our sales office at sales@themeritageresort.com for more information. 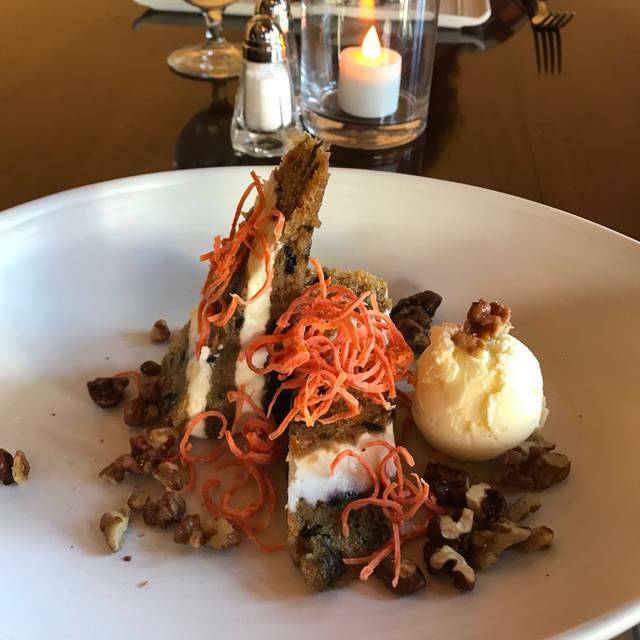 At our signature Napa Valley restaurant, Siena, we have created a savory menu that provides exquisite flavors for every palate, ensuring one of the most delicious Napa Valley dining experiences. Many ingredients are sourced locally and most dishes blend both Italian and Californian influences. Every plate is prepared fresh from the finest ingredients. Savor farm-raised beef and artisan cheeses at our succulent restaurant in Napa Valley. 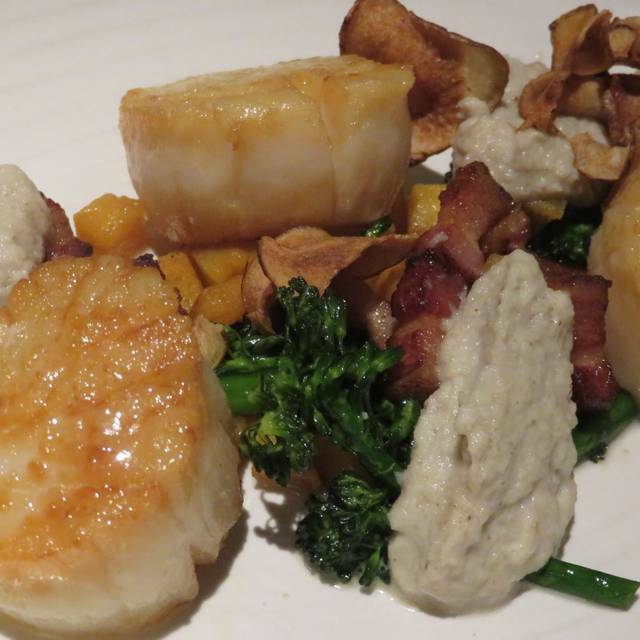 Revitalize yourself at The Meritage Resort's award-winning restaurant in Napa Valley. Recent accolades include: Wine Spectator's Award of Excellence, Napa Valley Vintners' Napa Valley Restaurant Award, and OpenTable's Diners' Choice Winner. Dine inside, where the spectacular Palio di Siena horse race is depicted by banners and murals in a charming setting, or alfresco on the Siena Patio. Siena is open daily to resort guests as well as the public for breakfast and dinner. Tonia was an outstanding server! She was genuine, attentive and very friendly. She made our breakfast experience a memorable one. Thank you! Friendly service. Amazing food. The chef really knows flavor. WOW. Restuarant was very good. Our server was friendly and patient with our group of 5. The food arrived hot and in god form. Any extra additons speceially requested were met. We had a great meal and a great time. The restaurant was full and was very loud. There was a very large group seated next to us and as the night went on, the group got louder with each bottle of wine. Others not seated with the large group, who were friends of the larger table began to shout and whistle to one another, which for those of us not with this boistery group, made talking an hearing one another quite difficult. So we called our meal a close and retired to the lounge for conversation. it would have been nice if management had of asked those whistling and carring on to settle a bit, but clearly everyone was having fun. We would go back to Sienna. A good meal in all. Not bad overall, but there was no wow factor. 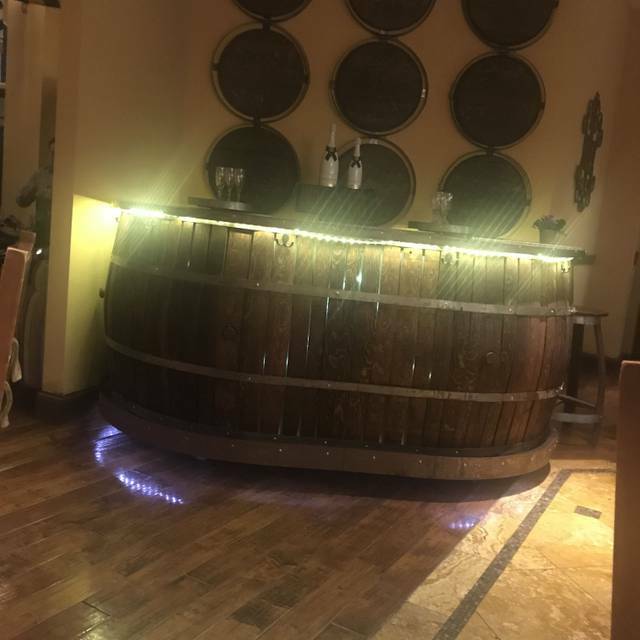 The ambiance was very nice, as were the wines and service. I had a margarita pizza that wasn't the most impressive thing. Still a nice place to stop at. We enjoyed our dinner but have one minor complaint. We brought a very nice bottle of wine with us (which is allowed) and the waiter brought us white wine glasses. We asked if we could have some red wine glasses and were told he would have to look if they had any. We're in Napa Valley and eating at a restaurant at a nice hotel. Are you honestly telling me you have no red wine glasses? If they have a policy that if you bring your own wine, they only give you crappy glasses, that's ok but tell us that. It was a Sunday evening and not busy at all and we saw plenty of other red wine glasses. After traffic delayed us, the Siena staff was still able to accommodate us even 30 min late. Drinks took a while to get to us, however the wine was delicious. Chicken was salty, and the pasta with the shorts ribs was cold. All in all it hit the spot after a long day of travel. Once again this restaurant exceeds our expectations with the level of service provided. Thank you to Rodolfo (server) and Letty (Supervisor) for making us feel so welcome. The food was so good, especially the Eggs Benedict and breakfast potatoes. My husband love the breakfast buffet. I must give a special shout-out to Chef Rachel for the most perfectly cooked and seasoned breakfast potatoes we have ever had. This restaurant has become our regular "go to" everytime we visit Napa. Thank you again for the great level of customer service. See you again very soon. 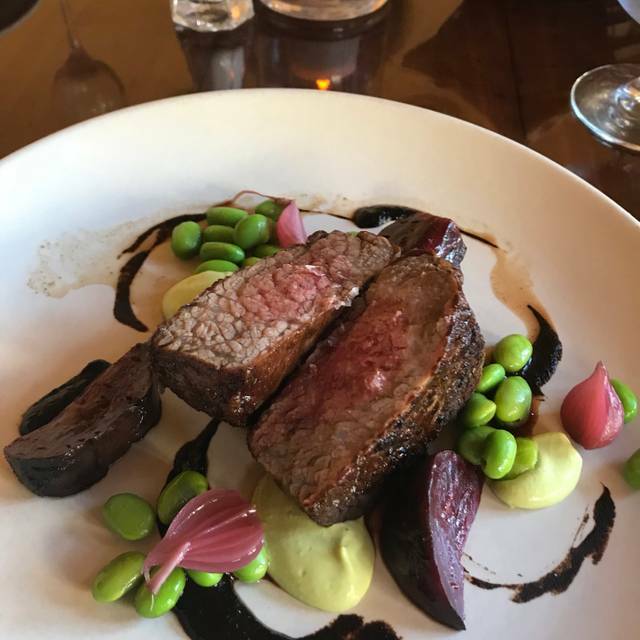 I dined at the Meritage twice this week and was very impressed by both the service and the food. I am a vegetarian: their salads are fresh and tasty, the mushroom pasta delicious. Arrived at 6:15 for our Dinner reservation - Server Seated us promptly - Dining Room was nice and quiet with a table or two occupied with families eating. We took our own wine to be enjoyed at dinner. We got our waters quickly and everything else went slow from there. A round of bread had to be asked for. We had to ask for our server more then once - We ordered appetizers then the main coarse. Our food was beautifully presented. Tasted good. Chocolate Flour less Mousse was the most satisfying part of the meal. By the time we got our meals ( Dinning Room was loud and full ) Not sure if I would go back for dinner. It was nice not to have to leave the Resort and enjoy our wine! Very loud. Terrible place for a quiet couple’s dinner. Terrible acoustics. Foodselection/menu was small. We had the seafood risotto, average at best, and the scallops, which was very good. Very small portion of scallops with no real side. The only thing this place had going for it was it was conveniently located near the Vina Bella/Meritage. Ambiance was missing. Food was average. Service was good. Not a restaurant I would rush back to. the whole ambience, staff happiness and food has gone downhill. The service is okay but the stressed staff made it uncomfortable, and food was skimpy and not good at all. Service was slow. Food took forever. Food was mediocre but not what I expected for the price. Took about 2 hours to get dinner. Service was terrible. The food was good, however the service was extremely slow. Not worth the money, or the drive to the hotel. Rodolfo is hands down one of the best servers in Napa and the manager, Letty, is just awesome. I always order the Eggs Benedict. They offer one of the best hollandaise sauce anywhere. The food certainly stroked the palate. However, I like to allot more time for a 4 course meal. I came away feeling stuffed, not satisfied. 4 courses need to be spaced out more. In France, this meal would have been served over a course of 4 hours. Our server, Lettie who is also a supervisor/manger, made our experience one to remember. She was attentive to our every need. The Christmas Day dinner menu was outstanding! Sadly like many restaurants in the Valley and beyond, I believe staffing shortages were reflected in the service and quality of the food. The service and timing were completely off, so much so that the manager had to come to our table (and others) to apologize. They also brought the check before our dessert came (they forgot about it). Let me say, the servers that were on staff were very pleasant and did a good job given their staffing challenges. 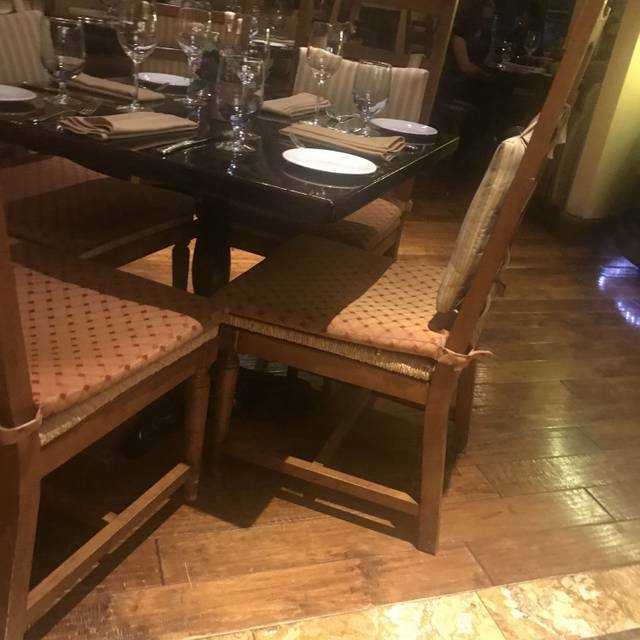 Unfortunately my New York steak was subpar and inedible based on the quality of the cut (something that is inexcusable at a restaurant like this and the prices they demand). Other items lacked seasoning. Surprising to me, and the table was that the best dish of the evening was the chicken. Words you would rarely hear from me, if ever. Our waiter Carlos was terrible. Waited a very long time to be greeted. Was not busy. Food was very salty. I was excited to have my family’s Christmas dinner at this restaurant. Unfortunately the service was very slow and the food was mediocre. For the price the food was just “eh”. The service was attentive, ambiance was ok. It’s not somewhere I plan on returning to to eat. I’ve heard the Meritage Spa is worth visiting. Very nice breakfast with friends. We spent a wonderful Thanksgiving dinner at Siena and all aspects were terrific! Wonderful Thanksgiving Dinner!!! We are not buffet types so the sit-down service with fixed menu was perfect, though you could also order off the regular menu if you did not want the traditional Thanksgiving dinner menu. The fixed menu was a traditional Thanksgiving dinner - soup was a butternut squash bisque, mashed potatoes, green beans, roasted brussel sprouts, real cranberry sauce (not canned jelly), stuffing, gravy, turkey leg confit, and assorted breads. The turkey breast slices were cooked perfectly and the overall portion was very generous. We would definitely do Thanksgiving Dinner at Siena again!! Carlos was our server & he was awesome! He made the entire dining experience a great one. He did everything possible to accommodate special food requirements. I wish all servers were as pleasant & motivated to provide extraordinary service. The food was excellent. We had the scallops & the steak. Both were perfectly cooked & very tasty. The environment is heavy & doesn’t match the price tag of the menu items but it was quiet. Food was good, staff were a little slow in being attentive but eventually our service was good. We brought our own bottle of wine and they were very willing to cork and decant it for us. 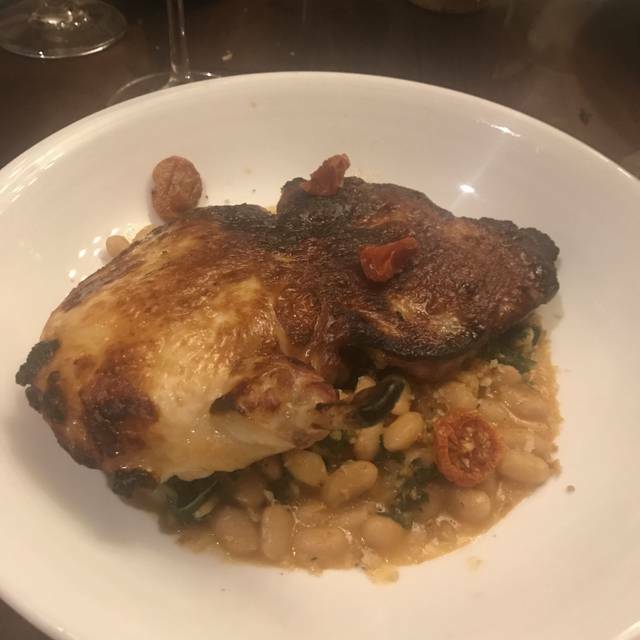 It was our first night at the Meritage, and, frankly, we were a bit disappointed in the selections on the menu and the quality of the food. This restaurant has become one of our favorite spots in Napa and it's convenient to the Vino Bello timeshare. The food has improved so much and is always nicely presented. They serve awesome Eggs Benedict. The Sunday Buffet Brunch is lovely. Our server, Rodolfo, is absolutely fabulous and Letty Hernandez (hostess/supervisor) was just as kind as could be. We make sure to sk for one of his tables every time we come in. They both made us feel right at home. Much more casual than I expected and very loud, but the food was ok.
After a long day of traveling to get to Napa and checking in to the Meritage Resort, we chose to dine at Siena located on site and we’re pleasantly surprised with a lovely dinner on the outdoor patio. I ordered the corn risotto with soft shell crab which was absolutely delicious. Several local wines are available by the glass or bottle. Service was friendly and efficient. Siena was a great choice for our first night in Napa. The wait staff were very friendly and accomodating. The food was delicious but just a bit pricey. It was very quiet even though it was full. Overall a great experience. Very courteous service and delicious food! My wife and I celebrated our Anniversary and were very pleased with our dining experience. a lovely setting and very easy and accessible when staying at the Heritage....no driving. Service was great but food was not what we expected. I had a steak that was accompanied by some bland potatoes. My wife had risotto that was a bit too salty. Very good resort restaurant. We ate there 3 times (2 dinner & 1 breakfast) and were quite pleased with the food. The service was OK but not as good as the food.